There are currently 90,826 users on this website. Sorry, this coin is a counterfeit. I'm a total novice in this field. I appreciate your feedback. anyone else want to weigh in on this standing liberty? differences on both the Obverse and Reverse. Wow... How can a person trust a coin dealer if great looking fakes are on the market? I was sure the coin was real. How can someone make a fake with such amazing detail? UNBELIEVABLE! Counterfeit. Date is the main "tip-off" for this being a fake. Wow... How can a person trust a coin dealer if great looking fakes are on the market? There are "great looking fakes" on the market, but this isn't one of them. This one just screams FAKE! As mentioned the date font is all wrong there are raised blemishes all over it, the surface texture is wrong. Once you have a little experience something like this is laughable. I'm no expert on determining fakes. I believe some people do admire them in there collections. 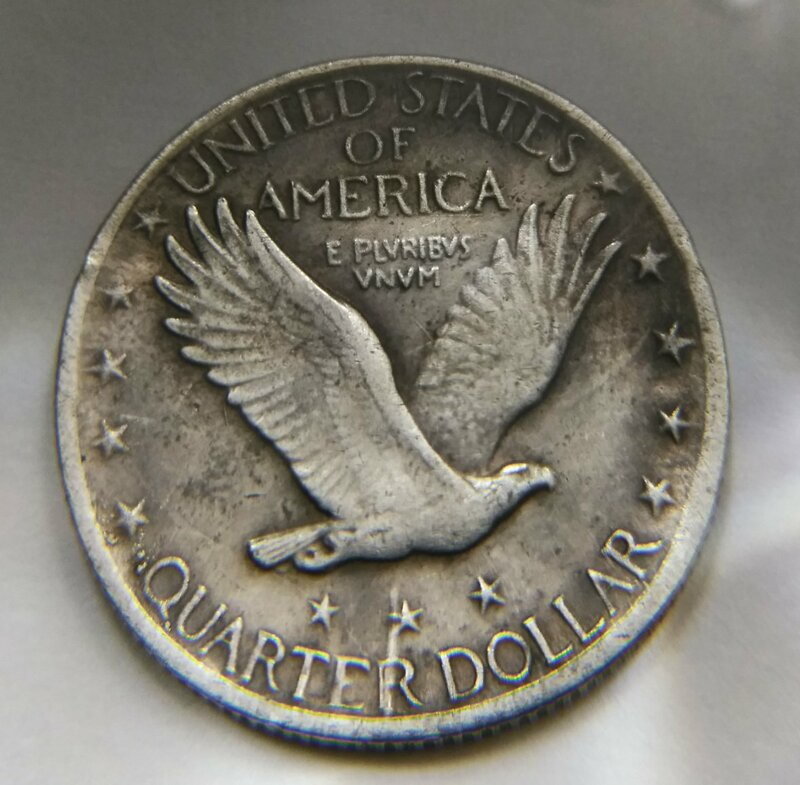 Was curious if it is a fake, if it was 90% silver or not? Thanks, Doug. This is a typical Chinese Counterfeit. It would contain no silver. To CCF! Right off the bat, I could easily tell that this was fake. 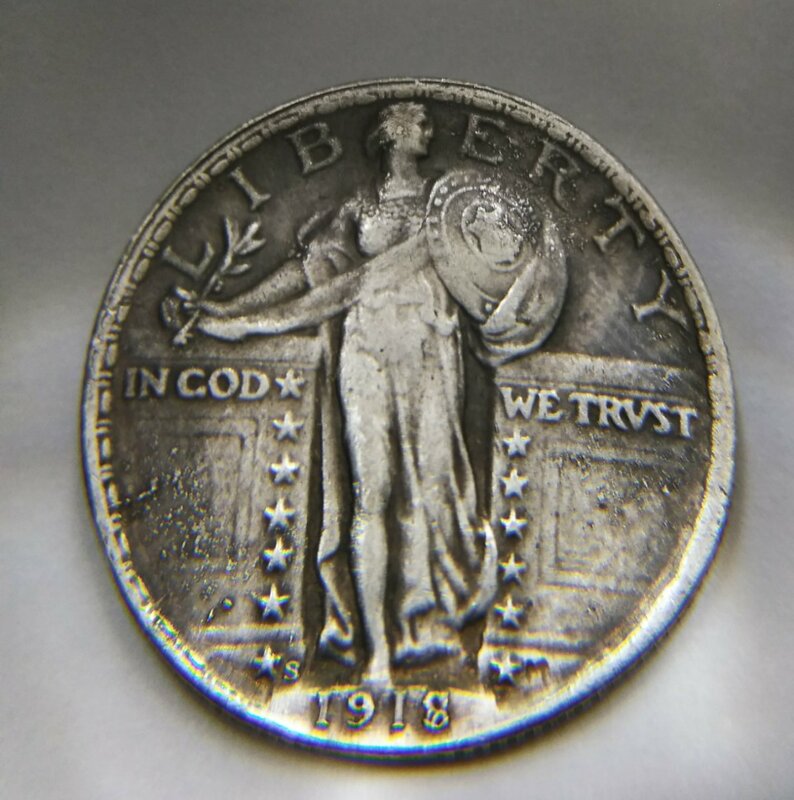 All of their 1918-S's have that same funky looking date. $1.39 apiece.